Vacationers looking for a great beach city should check out Nags Head, North Carolina. This popular resort area caters to day-trippers and renters alike. With natural attractions ranging from its beautiful shoreline to the largest living sand dune on the East Coast, Nags Head has something for every traveler. Sand dunes are a popular local attraction. One of the larger living sand dunes, located in Jockey’s Ridge State Park, reaches over 60 feet high. There are two ways to explore this attraction. One is to walk along the park’s wooden boardwalk, which offers a limited view of the dunes. This may be a good option for those who would prefer a leisurely amble with an option of sitting in one of the provided benches. The Tracks in the Sand trail provides another option. Directional arrows assist the hiker along this self-guided tour. The soft sand offers a good workout, but remember that this sand can be 20 or 30 degrees hotter in the summer months. The Nags Head Fishing Pier provides another popular attraction for visitors and locals. With sweeping views of the Atlantic, this pier is not just for show. Yes, one can fish from the pier, and its well-apportioned tackle shop sells everything from fresh bait to sunscreen. The pier also features a restaurant that will cook a cleaned catch as per the fisherman's preference. Diners come to eat and enjoy the views of the Outer Banks. Afterwards, take a stroll up and down the pier. Nags Head also features a nature conservancy. The Woods Ecological Preserve includes a maritime forest that reminds some visitors of a Piedmont in miniature. There are several well-kept wooded trails on which hikers can explore its various marshes and ponds. The preserve offers beauty, peace and quiet. 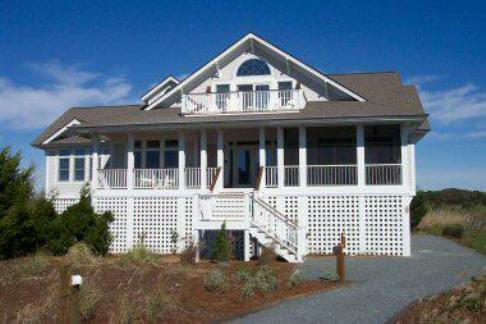 Although long a popular vacation destination, Nags Head features a variety of attractions. Whether planning a trip or considering north carolina coast rentals, the sights of Nags Head remain a delight.